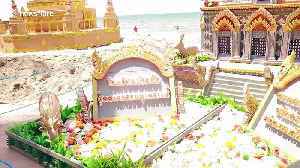 These beachgoers take sandcastle building to another level with stunning temple sculptures decorated with thousands of jewels. A motorcyclist caught riding without a helmet during Thailand&apos;s Songkran new year celebrations had to jump off his bike - and do push-ups. Youngsters take part in this fun sport - boxing while balancing on a pole above a paddling pool. The activity, known as Muay Thalay or sea boxing, involves competitors donning head guards and boxing.. 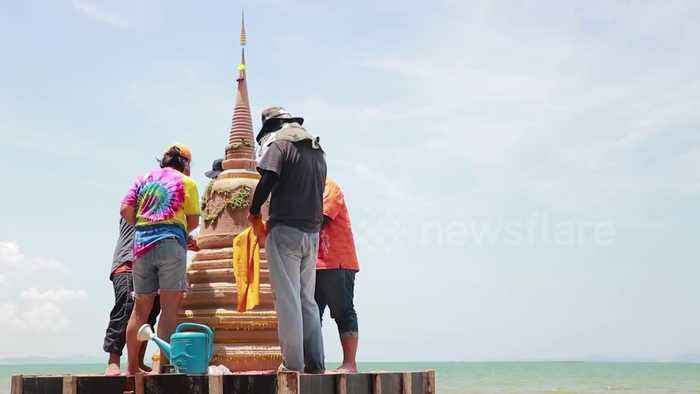 These beachgoers take sandcastle building to another level with stunning temple sculptures decorated with thousands of jewels. 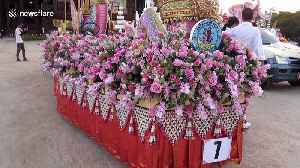 Hundreds of locals converge each year on the bay in Chonburi, eastern.. Incredible scenes from Thailand yesterday (Sunday) as tens of thousands of tourists joined celebrations for the country&apos;s Songkran new year celebrations. 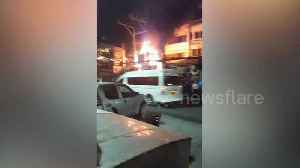 Revellers splashing water on each other for Thailand&apos;s new year celebrations fled in panic last night (Fri) when a transformer exploded causing a huge fire. 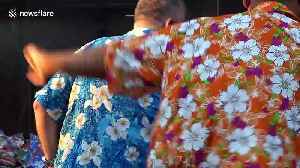 Tourists are seen buying floral shirts and water guns ahead of Thailand&apos;s Songkran new year celebrations which begin today.